We repair all brands of stoves, gas and electric. A home revolves around the kitchen and the kitchen revolves around what’s cooking. There is nothing finer then coming home to the smell of dinner cooking, or socializing around the kitchen as the food is being prepared. At Appliance Service of Bradenton, we love to eat, and some of us are quite good at wrestling up some supper! 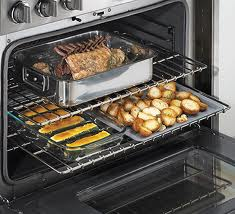 Properly functioning ovens, cook-tops, and grills, are essential for good living. Our technicians are factory trained experts and when it comes to repairing ovens properly and quickly, we get the repairs done right, and right away!